HomeNEWS & VIEWSImproving HealthcareShould Patient Education Be Optional? Last Thursday, the American College of Obstetricians & Gynecologists Task Force on Hypertension in Pregnancy released the electronic version of its Executive Summary of evidence-based recommendations for treatment of women with hypertensive disorders in pregnancy. 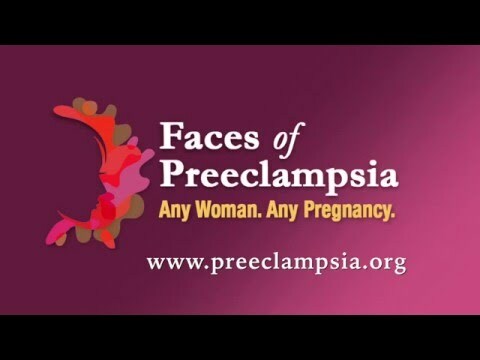 One recommendation was for healthcare providers to provide clear information to all expectant mothers about the signs and symptoms of preeclampsia and what to do if they occur. In this same month, October 2013, the Journal of Maternal Fetal Neonatal Medicine published the results of the Preeclampsia Foundation’s 2008 survey assessing the state of preeclampsia awareness among pregnant women. The survey results are included in the evidence presented by the College’s recommendations. The Journal of Maternal Fetal Neonatal Medicine article is titled “Prenatal education is an opportunity for improved outcomes in hypertensive disorders of pregnancy: results from an Internet-based survey.” It was authored by Dr. Anne B. Wallis (Assistant Professor, Department of Epidemiology, University of Iowa), Eleni Z. Tsigas (Executive Director of the Preeclampsia Foundation), Dr. Audrey Saftlas (title? ), and Dr. Baha M. Sibai (Visiting Professor, Depart. of Obstetrics, Gynecology & Reproductive Sciences, University of Texas). Because little was known about how many prenatal care providers discuss preeclampsia with their patients or if women understand what is communicated to them when such discussions occur, the Preeclampsia Foundation conducted an internet-based survey in March and April of 2008 to determine what women learned about preeclampsia in the context of prenatal care during their first pregnancy (2000-2008). Responded in some other way (e.g., made dietary changes or did their own research on preeclampsia).However, of those who received information, but did not understand the explanations provided, only 6% took any action based on the presence of symptoms. Most women were not told about preeclampsia or did not fully understand their providers' explanations about the signs and symptoms of preeclampsia. With knowledge and comprehension, women are much more likely to respond appropriately. Women with fewer resources and less education may receive and retain even less information, and thus be even less likely to respond appropriately to concerning symptoms. Education about preeclampsia and related hypertensive disorders must continue into the post-partum period so that women can recognize and respond to symptoms even after delivery. Most cases of eclampsia that develop after a woman has been discharged from a health facility are first seen in an emergency department. A woman with legitimate complaints who presents at an emergency department may leave untreated if the staff is all emergency or trauma providers, without Ob/Gyn specialists. Thus, women not only need basic education in preeclampsia, but they require repeated education to ensure they understand the risks and can be empowered with knowledge that will allow them to advocate strongly for their own care.